David Clamp established Merlin Digital Consulting in January 2017 to provide expert digital consulting for the financial services industry. He provides leadership, forward thinking and innovation based on his extensive experience in industry. His mission is to help clients flourish in the new digital era. Clamp has more than 25 years of experience delivering programmes in the banking, investment and insurance industries. 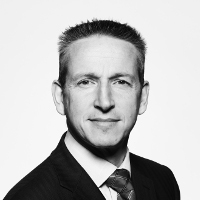 He spent the last six years as the CIO of Hiscox Insurance Company where he led the digital transformation of the UK retail business from strategy through to delivery.